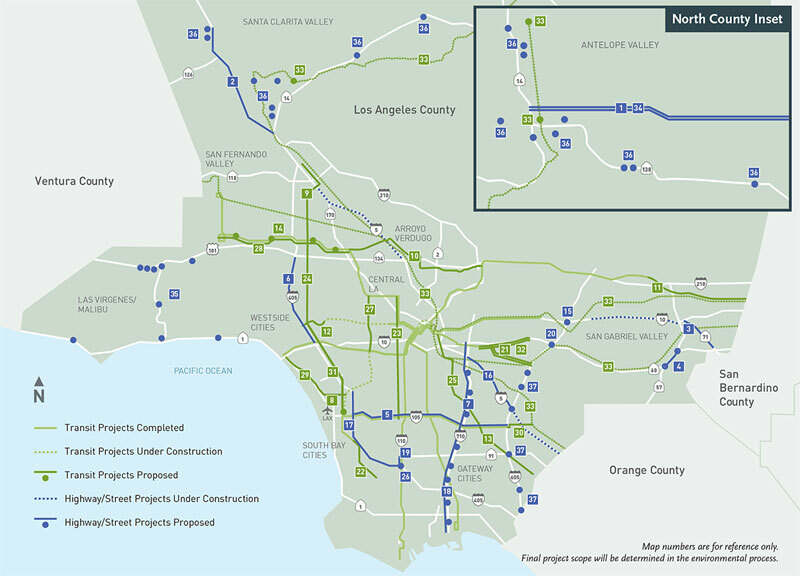 Los Angeles County voters approved Tuesday $120 billion for new rail lines, bus services and highway improvements, providing a boost to L.A.’s bid for the 2024 Olympic and Paralympic Games. The new funding adds to L.A.’s $88 billion mass transit overhaul, reportedly the largest in the nation. “Measure M”, the package approved on this week’s ballot alongside the election of next President Donald Trump, expedites the westward route of Metro’s Purple Line subway, which will connect Downtown LA with Westwood, the home of UCLA, proposed location of the 2024 Olympic and Paralympic Village. The ballot measure, having received the required two-thirds voter approval, will also fund the completion of the proposed Metro rail station at LAX which would connect the passengers to LA’s growing transit system and all four of LA 2024’s Sports Parks. There will be significant additional funding allocated for new carpool lanes, highway maintenance, local street repair, bicycle lanes and pedestrian improvements. Los Angeles Mayor Eric Garcetti said, “seventy per cent of this country said we are sick and tired of traffic and we’re going to do something about it. The car capital of the world will soon be home to a transit system that is the envy of the world”. “Should the IOC elect LA as host city for the 2024 Olympics and Paralympic Games, athletes, fans and all other attendees can expect well-connected, smooth and fast transit that allows the world’s focus to be entirely on the great achievements of the best athletes on the planet, and on the inspirational values of the Olympic and Paralympic Movement”. LA 2024 says Measure M will create a well-connected Games experience for all stakeholders. 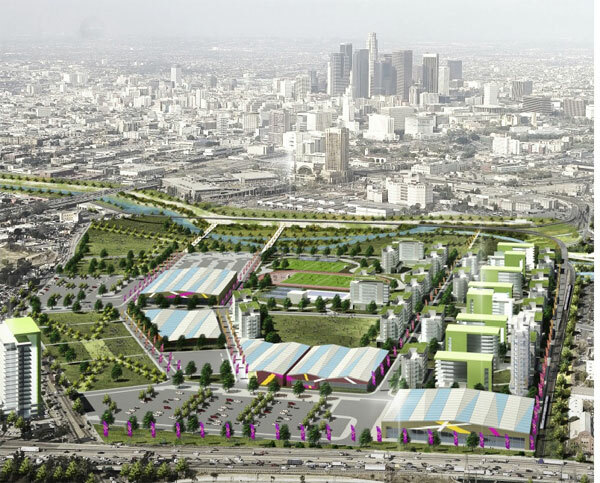 Pedestrian zones and shuttle services will connect the Olympic Family hotels and the 11 sports venues within the LA 2024 Downtown Sports Park’s single secure perimeter, while existing designated high occupancy vehicle lanes and new metro services will ensure travel times of 25 minutes to both the Olympic Village at UCLA and Santa Monica Beach, the proposed site of the Olympic Beach Volleyball competition. All LA 2024 sports parks will be connected to the city’s new transit system. LA is bidding for the 2024 Games against Budapest and Paris. The host city will be selected by the International Olympic Committee (IOC) on September 13, 2017.